Thank you so much for this, Tom. Words cannot express the appreciation from all of your friends who also love the Little Stone House. Artist Alan Fetterman has generously offered to allow us to use an image of his beautiful painting of the little stone house for our group. Thank you so much, Alan. The painting was given to Mr. Frank N. Gallagher by Judge Ed Ludwig of the Doylestown Historical Society. 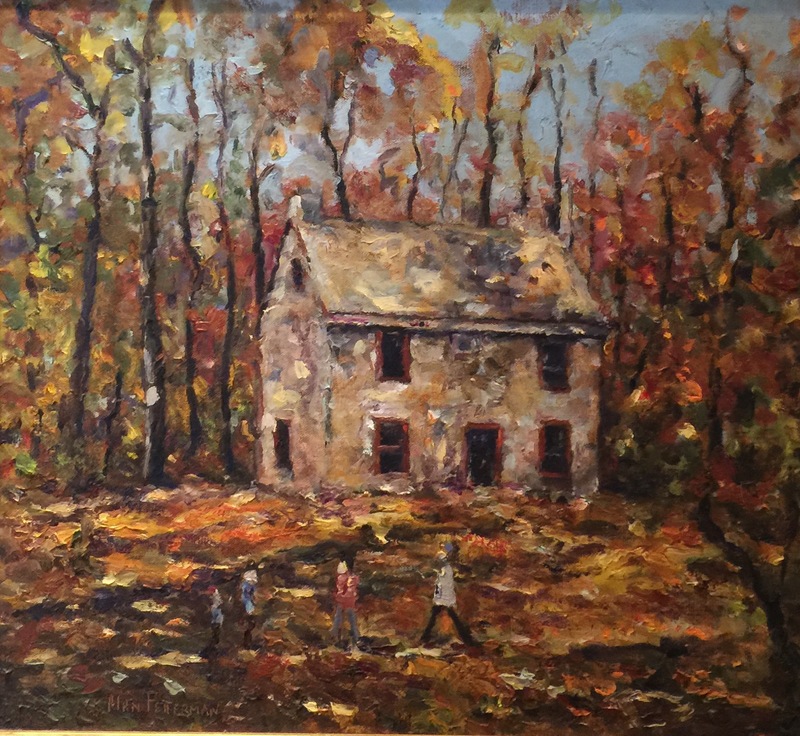 Mr. Gallagher gave it to the Doylestown Nature Club, who at one time had the house as their meeting place. The Club currently has no permanent home for the painting, so they donated it to the Doylestown Historical Society. Read the story on the Doylestown Nature Club site. 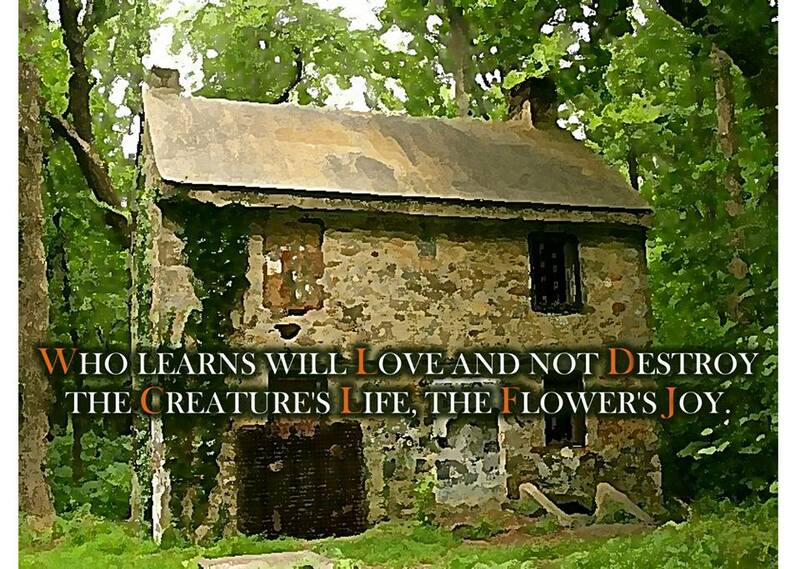 In May 1917, the Doylestown Nature Club began using the building for meetings and to store its archives. After many years, unfortunately, the little house fell into disrepair and has undergone much damage from vandalism and the elements. The forest, and the house, are now calling for our assistance. One evening, several of us began talking in a Facebook group about a little stone house in the woods near Henry Chapman Mercer’s Fonthill Castle in Doylestown, PA. An article about the history of the house was posted. That night, we began our group, which grew to over 100 members in just over a week. We’ve been in touch with several people and have offered to help with everything from fundraising to hands-on assistance with cleaning and, we hope, restoration of the little house. The efforts are, we hope, moving in a positive direction. We’ve set up this site as a home for the little stone house online. Welcome! Everyone is welcome to like our Facebook page and join our public Facebook group. If you’re interested in helping with preservation efforts, please join our Friends group.